PR agency executives on Mad Men's finale; Northeastern Amtrak service restored; New CEO soon at Chobani; UnderArmour apologizes for "band of ballers" shirt. 1. A new woman-owned agency. A legendary ad campaign. True love. And another marriage for Roger. Mad Men ended its seven-year run on Sunday night, leaving viewers with either a very cynical or optimistic ending, depending on your point of view. A group of marcomms executives told PRWeek what they believe was the show’s number one takeaway for communicators. 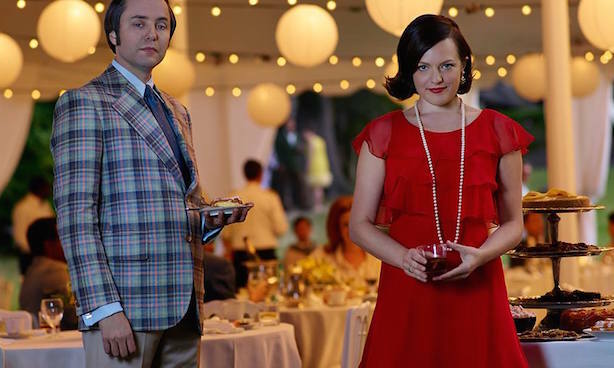 In real life, the advertising executive behind Coca-Cola’s I’d Like to Buy the World a Coke ad was McCann Erickson creative director Bill Backer, not Don Draper—or Peggy Olson, according to some theories. Backer came up with the spot’s concept after watching international travelers share stories over Cokes in 1971. Coca-Cola responded to the finale by tweeting the original ad and linking to a 2012 blog post about the spot’s creation story. Other companies such as McCann and Hershey have also taken advantage of being part of Mad Men plotlines. 2. Amtrak restored service between New York and Philadelphia on Monday morning, nearly a week after the deadly crash that claimed the lives of eight passengers on the route. One PR pro who survived the accident panned the railroad’s crisis communications strategy. 3. The Obama administration will unveil new standards for government funding of local police departments on Monday, clarifying that it should not go to many kids of military-style equipment. 4. Chobani is about to name a new CEO after a series of setback that hurt the yogurt company’s brand over the past three years. Founder Hamdi Ulukaya, the Turkey-born face of the company, will become its chairman. 5. Likely Republican candidate Jeb Bush said in a Saturday interview that businesses owned by devout Christians should have the right to refuse service to a gay wedding if they believe it violates their beliefs. Two months ago, Indiana faced widespread backlash after it enacted a "religious freedom" law that many said paved the way for discrimination against LGBT consumers. 6. UnderArmour has stopped selling a t-shirt that showed a team of basketball players hoisting a hoop in silhouette in the same manner as the Marines raising the US flag over Iwo Jima during World War II. Many thought the shirt was disrespectful to veterans. "We deeply regret and apologize [for] the release of a shirt that is not reflective of our commitment to support and honor our country's heroes," UnderArmour said via Twitter.